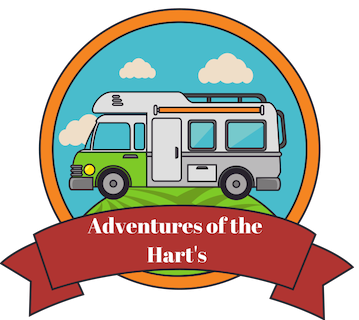 There are big changes coming to the Hart’s. We are moving in the upcoming year, like the 5th of January we will be taking our journey to put down some temporary roots in South Carolina. We are both going to attending college in 2019. There will be changes coming to this blog. I fail to write and post content for all of you often then I feel like I have so much to catch all of you up on. I am sorry for that, but will be working on that. Yes, we are moving far from some of our family (mainly mine) but sometimes you have to sacrifice somethings to help make your goals work for you. Alex and I would like to start traveling all over the United States and making this move helps get us closer to those goals. To travel we need to have an income because we don’t have a bank account to support us just traveling without having income coming in.We are both getting degrees that will help us work remotely with skills that we both want to possess for our life goals. This is an emotional time as I have never been more than an hour from my family, but I also know that this is an awesome opportunity for us. Will we be back to visit often, I want to say yes; but money is always an option so I will be putting money back every pay check to come back to Iowa. Driving back home when I want to visit my family isn’t an option so flying back will be the way to visit. 18 hour drive would take up my whole family visit. Am I scared that we might fail and fall on my face, yes absolutely! What scares me more…NEVER EVEN TRYING. That scares me far more than saying that I tried and that I didn’t make it. I don’t plan on failing though either. I may have to adjust my goals to make my dream work, however I will have my dreams come true.